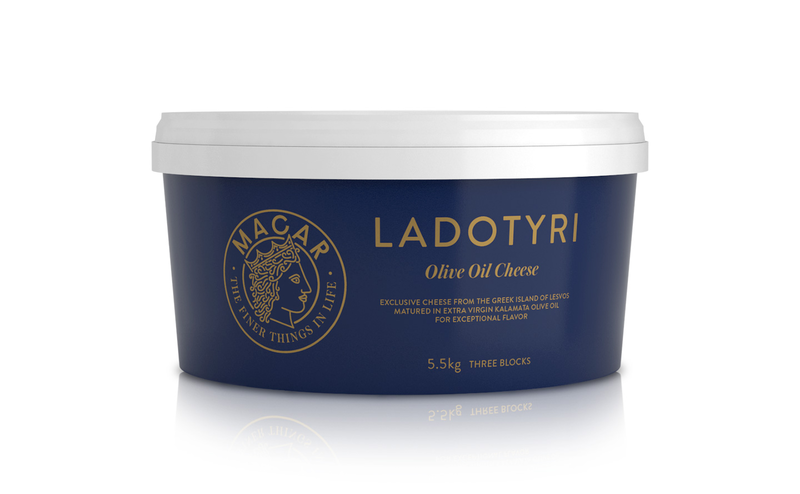 Specialty restaurants, hotel chains, and other professionals in the food service industry seeking bulk quantities can enjoy 3 whole MACAR Ladotyri Mytilinis PDO cheese heads of the classic flavor, matured in Extra Virgin Kalamata Olive Oil. Enhance your cuisine by adding Ladoytri, olive oil, or both to your next Mediterranean-style dish. Cut or serve as you please – present the cheese as an exclusive appetizer with a chilled glass of Moscato white wine or Chardonnay, pair it with exotic salads, or use the cheese-infused olive oil to finish and accentuate the flavor of your dishes.